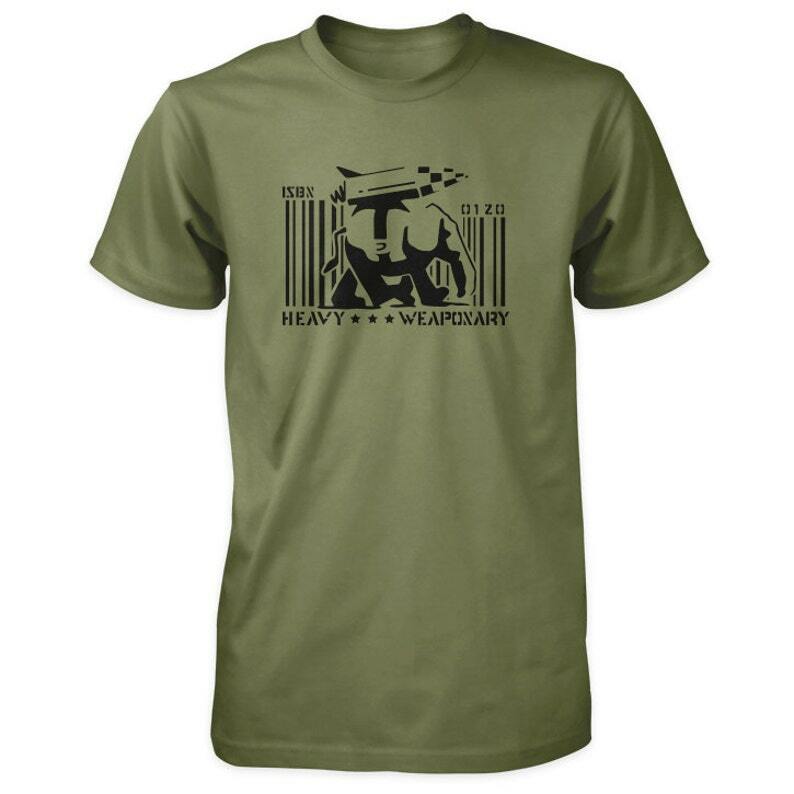 This screen printed short sleeve cotton t-shirt features Banksy's "Heavy Weaponry" stencil graffiti art. - Printed on a Gildan Ultra Cotton Tee. 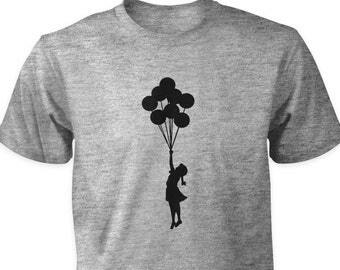 Banksy is a pseudonymous United Kingdom based, graffiti artist, political activist, film director and painter. Banksy's satirical street art and subversive epigrams combine dark humour with graffiti executed in a distinctive stencilling technique. He displays his art on publicly visible surfaces, his works of political and social commentary have been featured on the streets, walls and bridges of countless cities around the world.